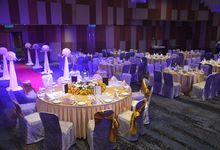 Eastin Hotel is the latest addition to the prestigious Eastin Hotel Chain with the flagship Eastin Hotel Petaling Jaya being the proud winner of the "Best Business Hotel Platinum Awards" for four consecutive years from 2003 to 2006 by Hospitality Asia. Eastin Hotel Penang features 328 meticulously decorated guestrooms and equipped with modern amenities for the comfort and convenience of the discerning business and leisure traveller. Choose from a variety of room types; Deluxe, Club Deluxe, Eastin Deluxe, and Family Suite, facing the verdant green hills or the shimmering blue sea and Pulau Jerejak, home to tropical rainforest that's over 130 million years old or looking out onto an elegant landscaped gardens. After a busy day, you can relax by taking a dip in our sparkling clear pool, work-out in the fully equipped gym, soothe your mind, body and soul at the spa or drop by Queensbay Mall for a shopping spree. Guests who need to be constantly in touch can also log on to our complimentary internet at anytime of the day or just lie down on the plush bed to enjoy your favourite programme from our satelite television channels. The warm hospitality, impeccable service and care, is a rich tradition practiced at all levels of our staff to ensure your stay is a plesant one. 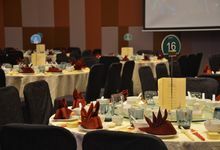 Whether for business or leisure, Eastin Hotel Penang is here to provide you a memorable experience you'll treasure. 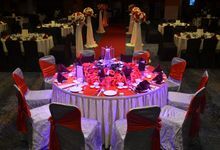 Eastin Hotel Penang is a one stop location for a wedding venue, providing space for your ceremony in our pillarless Grand Ballroom, located at Level 3 with a seating capacity of up to 700 guests, a brand new ambiance, purpose built foyer area, complete audio visual system and the added convenience of quality guest rooms for you and your guests. 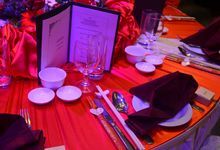 Our Wedding Event Specialists will take into account of your every preference, and help you to map out your ‘I do’ without any ado. 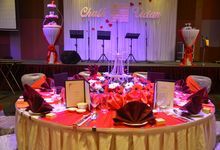 Our minimum wedding package starts from RM988.00+ per table of 10 persons and certainly providing all the inclusions you could possibly want and presenting excellent value as well as providing wonderful delicacies, wine and service. 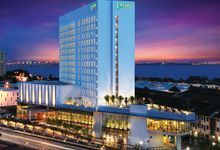 Eastin Hotel Penang is a contemporary International business class hotel. Strategically located within the integrated waterfront development of Queensbay, Eastin Penang is adjacent to Queensbay Mall. Its superb location is minutes’ drive away from the Penang International Airport and the iconic Penang Bridge as well as in the vicinity of the Bayan Lepas Free Industrial Zone. It features 328 meticulously decorated guest rooms and suites.